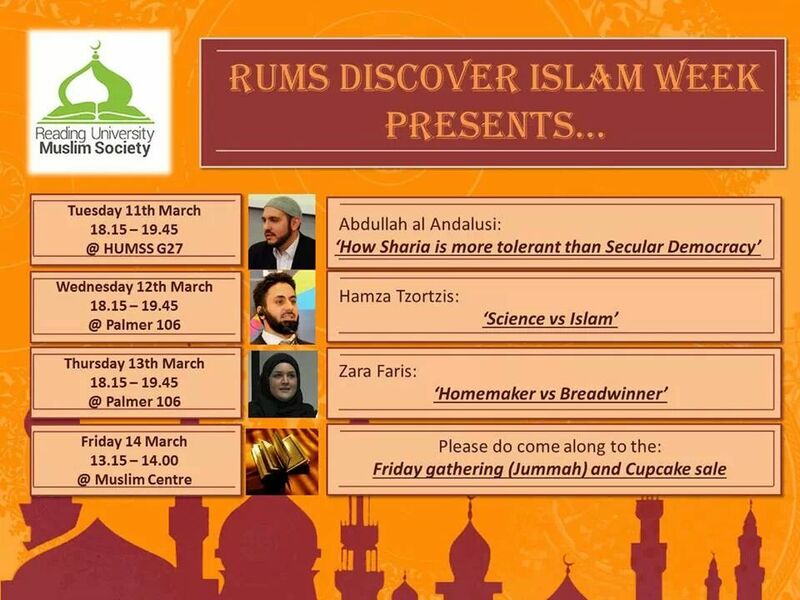 I attended your talk ‘How Sharia is more tolerant…’ last night at the University of Reading. As I was not your target audience, I did not wish to take up more time for a comment on your talk, but I will post a response to your talk here. First, your talk is structured as a typical ‘straw man’ argument. You paint a uniformly black picture of several secular thinkers (Lock, Hobbes et al) and then skip straight to several modern examples of Muslims being harassed, before concluding that secular liberal states even make thought a crime. You then contrast this caricature with an idyllic picture of sharia derived from one or two seventh-century quotations (from Muhammed and some hadith). You gave no modern examples at all of sharia in action today. This is really very poor stuff, especially in a University setting. If you have a case to argue, you should know that you have to compare the very best (and worst) of both sides, before you can come to an informed conclusion, rather than simply caricaturing what you wish to dismiss. Second, your talk focused entirely on how sharia treats (or is supposed to treat) non-Muslim minorities. This was limited, to say the least. To their credit early Muslims treated their minorities on the whole well. But they also subjected them to punitive taxation – jizya – they were not (as you claimed) left to their own devices. It would be better if you gave a truer historical picture. Nor indeed did you touch on current day examples of sharia in practise – you could for example have expressed an opinion about the present-day debate in Malaysia about whether Christians should be allowed to use the word ‘Allah’ in their prayers. Is this, for example, an instance of (some) Muslims attempting to police the thoughts of others? More problematic, however, you did not talk at all about whether sharia was more tolerant of Muslims themselves. You might, for example, have given thought to the treatment of ex-Muslims who wish to become atheists, Muslims who express different sexual opinions, and so on. Is sharia more tolerant of them than a secular democracy would be? How do you think such people should be treated? I was prepared to listen to you, but in the end extremely disappointed and felt your main intention was simply to make people angry. In a secular democracy you are, of course, permitted to express your opinion. But to spend the freedom you have on such weak arguments seems to me a poor exchange. As a Christian, I too have some problems with the form of secularism I live in – its use of violence, economic and military, its frequent protection of the rich and powerful over the weak, its resort to technological solutions rather than ethical ones, its treatment of the scarce resources of the planet. Nevertheless, I also value various aspects of it. I am prepared, and would encourage you, to be honest about what is both good – and bad – about the society we live in, and to look for positive change, rather than merely painting simplistic pictures. The ‘intolerant liberal thinker’ John Rawls did not support regime change in Iraq, as he died in 2002. Your audience cannot read Socrates for themselves on democracy – none of his writings (if he wrote at all) have survived, we simply have Plato’s accounts of him. More technically: Solomon’s Temple in Jerusalem did not prohibit non Jews entering – there was a ‘court of gentiles’, though they could, indeed, not enter beyond this.